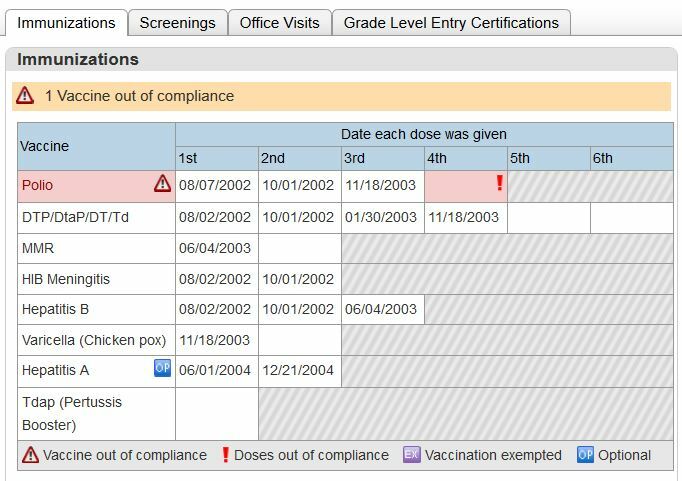 With a large majority of student tables being available to front end users via DDE/DDA in PowerSchool, there may come a time when you will require an extraction of Health Vaccinations only to find that the tables are not available to you through DDE/DDA! (As of version 7.7) And worse off, Reportworks only provides limited display options. ODBC to the rescue! A simple sql query of Vaccination doses such as the one below can help to pull this information out of PowerSchool and into your own tool for migration, analysis or backup! This entry was posted in PowerSchool and tagged DDA, DDE, Health, Immunizations, ODBC, PowerSchool, Vaccinations, Vaccines. Bookmark the permalink.